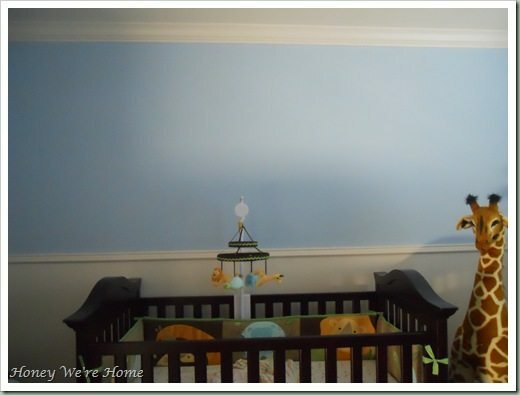 The wall above James’ crib looked pretty barren without anything on it. It’s a large wall and the first thing you see as you enter the room, so it needed some visual interest. 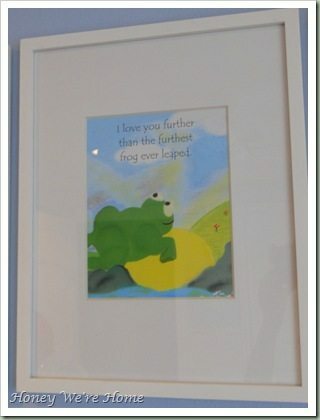 I debated putting letters spelling his name in the space, then changed my mind and decided to make my own framed art using an illustrated book. (I did buy the letters to spell James, but think I’ll use them in his bathroom instead.) I had 2 frames already that I could reuse and just bought two more, figuring 4 would fit the wall nicely. 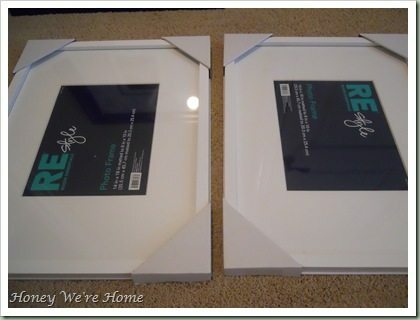 The frames are from Target and a little pricey at $17.00 each (11×14 inch frames and 8×10 mat). I went to the bookstore not knowing what book would have the images I wanted. I just went to the large picture books and started browsing when I came across the most adorable book ever! 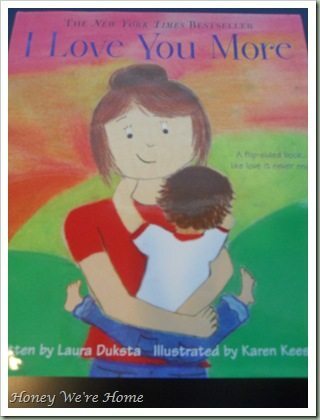 It’s called “I Love You More” by Laura Duksta. You may have already heard of it -apparently it’s a NY Times bestseller- but it was new to me. The premise of the book is that a boy asks his mom how much she loves him, and she proceeds to tell him how she loves him more than everything. 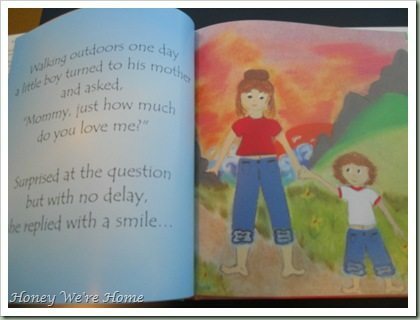 Then, the boys says, “I love you more.” The book continues (you turn the book around) with the mom asking the boy how much he loves her, and the story repeats from his point of view. 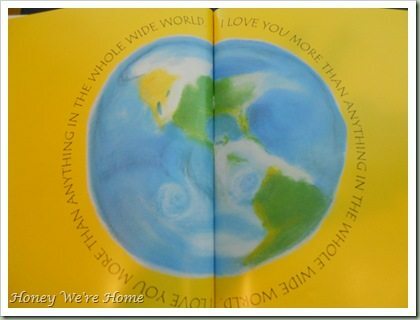 Then mom says, “I love you more.” The sentiment is so right on and the illustrations are beautiful- perfect for James’ nursery. I was just giddy that I found this:) I bought one copy, but since I cut the pictures out, I’m going to have to get another one so I can read it to James. Perhaps Amazon will have it cheaper. It was difficult to chose just 4 pictures, but I went with some of the ones with animals since James has a bit of a jungle nursery. I used a blade to cut the pictures. Then I centered the picture into the frame and secured it with a small piece of tape. 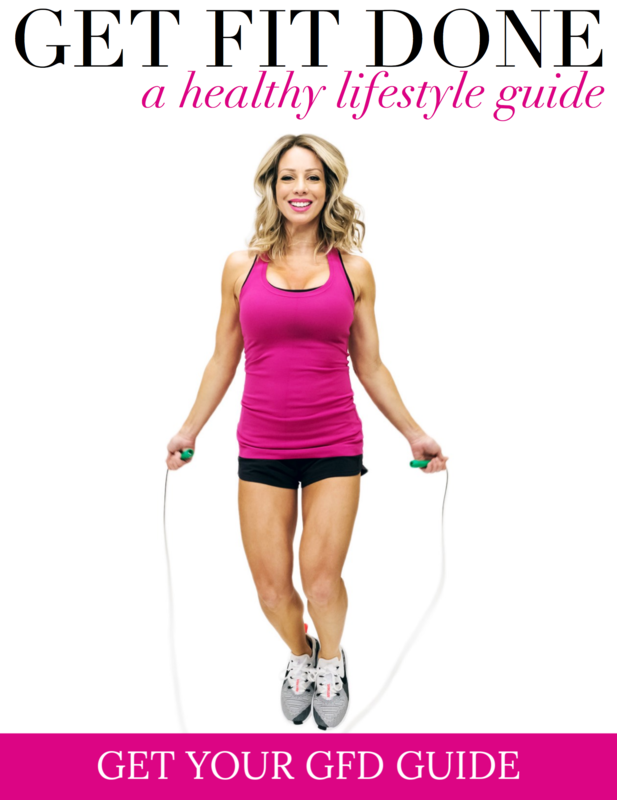 So easy and the results are fantastic. Before After Click here to see the nursery in its entirety. Have you done this in your home? I think calendars would have good, large images to use as art. 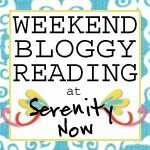 *Here are the parties I’m linking to (including Pure Style Home) and Serenity Now. These are wonderful! Just make sure that they are secured tightly to the wall – don't want him pulling them down and bonking his little head! Couldn't have turned out more perfect! The pictures go so well with the theme and the colors too!! Two more books that I'd recommend are I'll Love You Forever and when learning the alphabet later on…Chicka Chicka Boom Boom. My girls still remember those as favorites and they are now almost 17 and 21! Did you make the foot print/baby hat/bootie one too? You didn't happen to take pics of that too did you? I want to make one but of course could use some guidance! This idea was great and the result was great. Perfect book to take the pictures from, as it matches your baby's room perfectly! Great job. Lisa- I did take a couple shots of the shadow box I made. I can do a post about that soon. Erin- good point. Safety first! May move the crib even further from the wall. I would just die if my decor ended up injuring my little baby. That makes my heart ache it's so perfect! I will be going to get that book tout suite! One more thing….I was just reading through some of your old posts…and realized I went to law school with you! 🙂 What a small world! James' nursury is Absolutely Darling! The wall color is so soothing and I am in LOVE with that rug!!! As a mom of 4 little boys, I cannot believe I haven't seen that book either. I have to go get it since those are my famous words…"I love you More". Oh, I love children book illustrations and think they make lovely artwork! Oh wow! That is such a great idea! I love it! 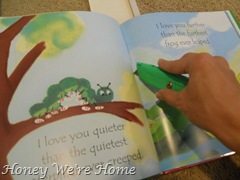 We are all bookworms here from daddy and mommy to all three children including the 2 yr old of the bunch! I may need to steal this idea!!! Thank you so much for the idea and the tutorial! Your new artwork looks very nice. I'm visiting from Amanda's party. Oh my goodness. This is just precious! 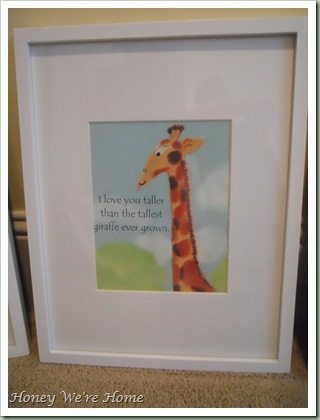 Such a good idea for any nursery! And there are so many cute books out there that can be used for this project. THIS is a project I will have to keep in mind! Clever and adorable!! 😉 love it! What a fabulous idea! I think I have a book or two I could do this with. Thanks for the inpsiration! I hope you will come participate in my link party! All About The Boy @ The Nifty Nest! What a wonderful idea, Megan! They turned out so cute! Great job! Very cute! 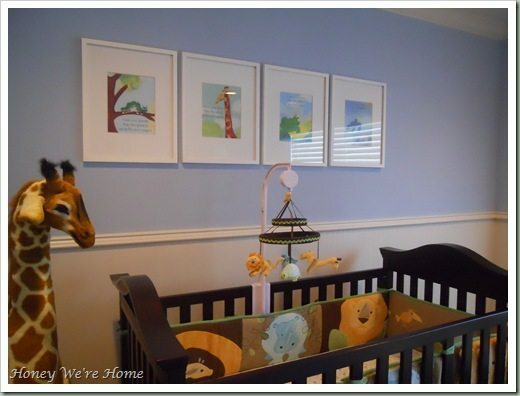 I LOVE that book and the pictures look so great above the crib…especially since you already had a jungle theme going. Nice work! 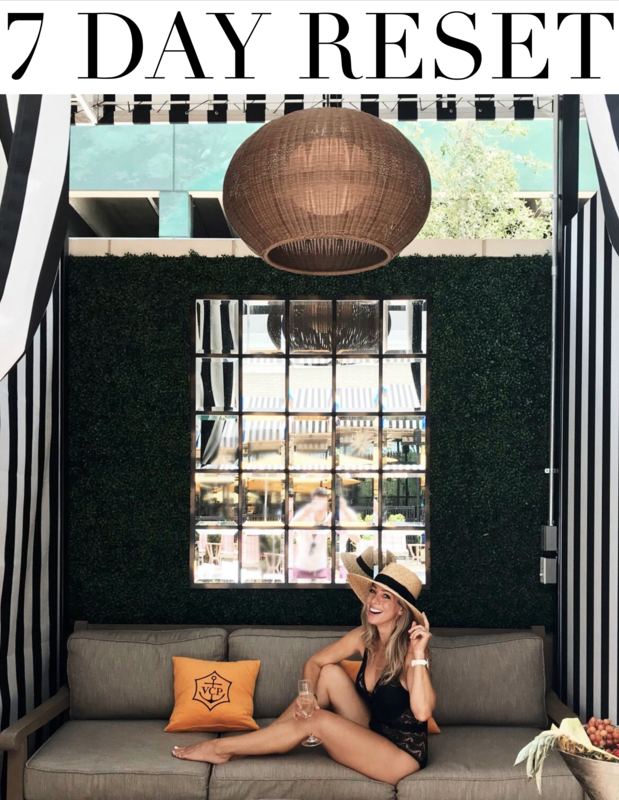 Visiting from Blue Cricket Design! Just beautiful! Great work! 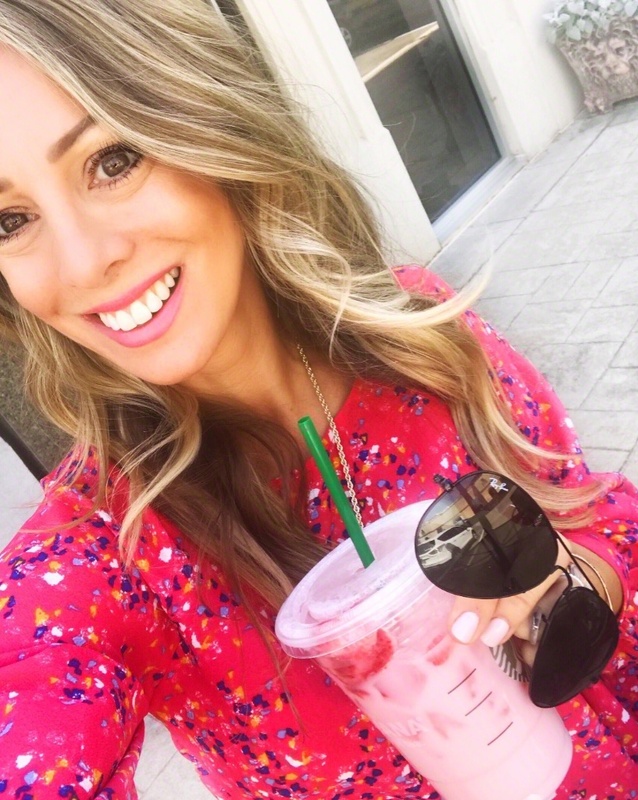 Thanks for linking up to Mad Skills Monday! Awesome… it really looks great and I would never have known there were books. Great idea! Ask this ol' granny if she likes your work?….I LOVE IT!!!!! We are so glad you shared your great wall art with us at Anything Related! It looks great! Love it! Check out my Garden Wall; great minds think alike, lol! 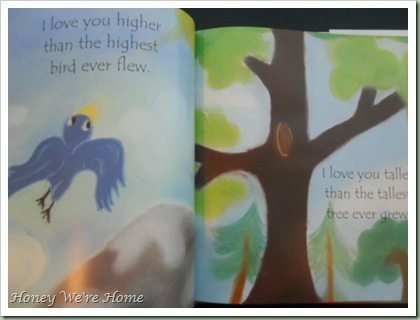 i LOVE this book and i cry every time i read it to my boys. every. time. i am going to have to copy this. thank u!!! Very clever idea! I am working on what to do above our crib right now too. 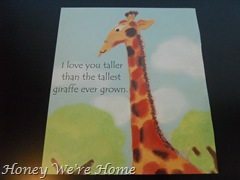 I have debated placing our babies name, but now I am leaning towards prints from a book. Thanks for sharing! Your nursery is darling. Love this idea! That book is really cute. And the pictures/sayings/colors go perfect in your nursery. Saving this for nursery inspiration for later! 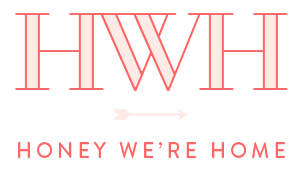 Linking to you on my blog! Great idea. I just don't think you should place anything like that above a crib, no matter how secure you think they are. Mom of 3 and that's it! Oh so cute!! Way better than going the usual name above the crib route. That is the sweetest thing EVER! I LOVE it! 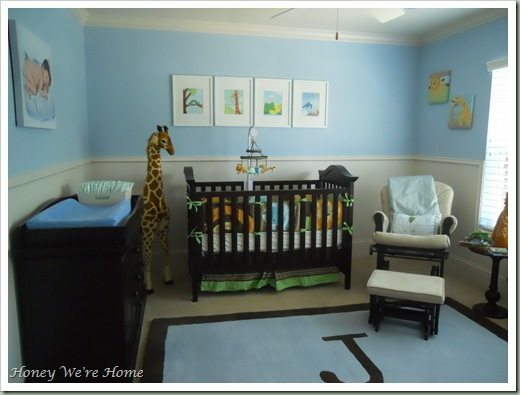 I love love love this nursery. It is a great inspiration to me since I have a son on the way in August…I found someone that has the amy coe zoology bedding for sale (brand new) and was wondering what you think of the softness and quality of it. I have not been able to find any reviews on it at all since it has been discontinued. Also do you think that bedding would go with an oak crib? My in-laws bought us an oak crib set as a surprise instead of the espresso and I did not have the heart to change it. Any info you have would be greatly appreciated.